Historical places are found to be buried in large numbers in the northeastern state of Tripura. This beauty is a valuable gem amongst the Seven Sister States and is well known for its archaeological and heritage tourism in the country. One would find vertical walls which are being exposed to the open air, which are now being transformed into tourist attractions. Tripura is the third smallest state in India and yet, has plenty of alleys and lanes of historical importance, which attract a large number of footfalls into its tiny state, which is an upcoming archaeological destination. Have a look at some of the sites found in the state and make sure you plan a visit to one or all of them. 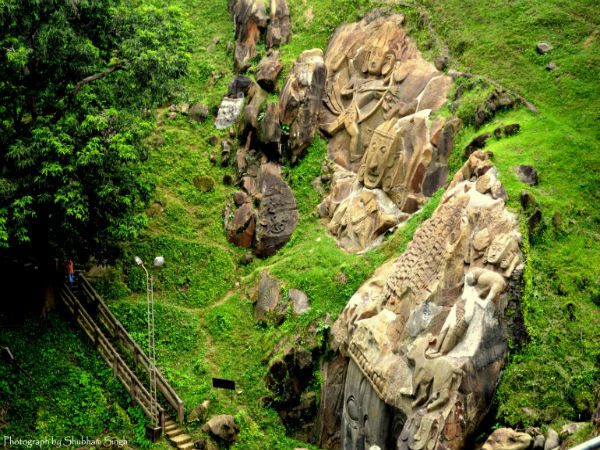 Unakoti is a historic pilgrimage destination dedicated to Lord Shiva, which dates back to a period sometime between the 7th and 9th centuries or even earlier. The site has beautiful rock carvings, murals in their primitive beauty, which form the chief attractions here, which is further added onto by the gifts of Mother Nature, such as waterfalls and gorgeous mountain scenery. The images found here are rock-cut figures as well as stone images. Amongst the rock-cut carvings, Shiva's head and Ganesha's figures hold a special mention. Lord Shiva here is known as Unajotiswara Kal Bhairava and the structure measures to about 30 ft in height, which also includes a headgear which measures up to 10 ft in height. Udaipur is located at a distance of 55 km from Agartala and is well known for the shrine of Tripura Sundari Temple. The shrine is believed to be one amongst the 51 Shakti Peethas across the country and it is believed that Sati Devi's right foot fell off here. The temple was constructed by Maharaja Dhanya Manikya in the year 1501 AD. What makes the temple unique is that there are two identical images of the main deity inside the shrine. One idol measures to a height of 5 ft and is named as Tripura Sundari and the other measures to a height of about 2 ft and is called Chhotima. Neermahal in translation means the water palace, which was the former royal residence of the King Bir Bikram Kishore Manikya Bahadur of the erstwhile kingdom of Tripura. The palace was built in the middle of the Rudrasagar Lake in the year 1938 and is also the largest of its kind in the country. There only two palaces of its kind, the other being the Jal Mahal in the state of Rajasthan. The palace comprises of two parts, the western side is known as Andar Mahal and the eastern side comprises of an open-air theatre, where cultural events, dances and dramas were organised for the kings and their families. 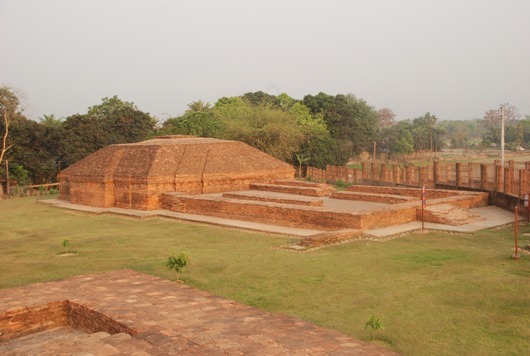 The site at Boxanagar came to light after the denudation of a forest area, where the ruins of a brick built structure surfaced at the edge of the border with Bangladesh. According to locals, the remains found here were said to belong to an ancient temple dedicated to Manasaa the Snake Goddess. As the structure was falling prey to the test of time, the attention of the Archaeological Survey of India was drawn to it, who then took over it. In the year 1997, an idol of Buddha was excavated and archaeologists confirmed that the site was a Buddhist temple and not a shrine of Manasaa.